Monday to Friday 9-11 pm IST. Over the last week or so, listening to aahaafm on the net is painfully slow, it keeps buffering. Can the website maintenance people do something to improve it? Yes, pls ask the Aahaa FM site maintenance guys to look into the buffering issues. Its painful, to listen to one 5 min song over a 8 min period with some of the RJ's words split over several seconds.. Thanks and have a great time ahead. Recently I am a big fan of Vairamuthu neram. Can you rebroadcast in the night like Gaane Anjane? It will be helpful for peopl living outside of India. Nice to hear ur aahaa kaapi club show akka..,and I think the program named vairamuthu naeram will be at a great reach to the people. Thanks for the info.. it is amazing listening to all the tidbits he shares! i live in West coast N.A, so cant listen to your show completely as i am on way back home :-( Do you know when the recorded show is played/ archived? PS-> streaming stutters more often these days, can u please pass it on to your team. Aaaha fm website is struggling. tell them to run website without any disturbance or better close the website. u can never expect quality stuff and non interupption from tamil nadu websites. aaha fm is one example. 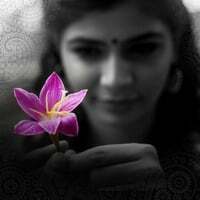 Chinmayi use your power and do something so that we can listen you. I am living away from India. I have been listening to AAHAA FM everyday. But, today, when I connected to the internet-aahaa fm, it asks for username and password to get into the site. Where do we register? Has it become paid now? Im living in US..Im not able to hear aahafm online anymore..Any technical problem? Vairamuthu Neram is a great program. It is great to hear the Kavignar talks about his experiences. Rather than just play songs even in this program it might be a great opportunity for aahaaFM to explore some literary works and some folklores. It is time to reduce the use of movie songs format and stay away from the movie realm. Vairamuthu would be the ideal person to do that -- he has the authority and experience. It is a late night program anyway and no one would mind! There is a lot of improvement in you as an RJ... Good luck to your shows! Here in the US, we love listening to aahaafm via live stream on aahaafm.com. But lately the live stream seems to be down. Do you know when this will be brought back again?